Earlier this summer, I wrote that all art is in some way derivative. I was reminded of that post when this week’s issue of Time arrived. 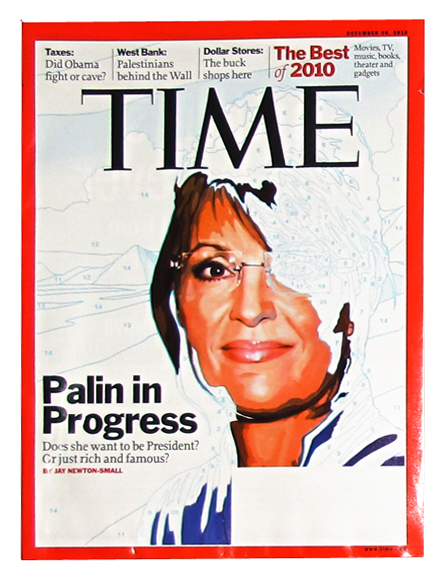 Tim O’Brien’s cover illustration of Sarah Palin “in progress” ignited a spark of recognition. I’d seen a similar image before—and I knew exactly when and where. I pondered the similarities—both in the illustrations themselves and in their theme—for a long time. Was the resemblance an amazing coincidence? Or had O’Brien somehow seen the original and used it as a platform for his own work? But I did find it interesting to compare my reaction to the two illustrations: The Obama sketch had struck me as brilliant in its creativity, clarity and impact. The Palin illustration? Not so much. 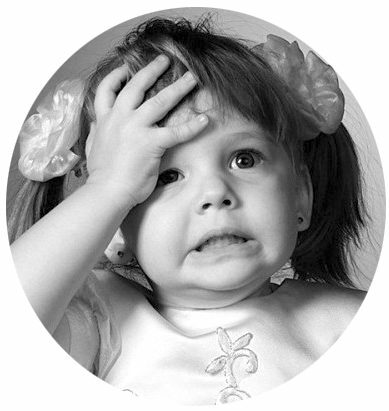 “Been there, done that,” my brain seemed to say. In that ho-hum reaction, I found a lesson: All art is derivative in some way; we can’t help but be influenced by the things we see and hear. But to have an impact, art must also be original. * I’m speaking in generalities here. 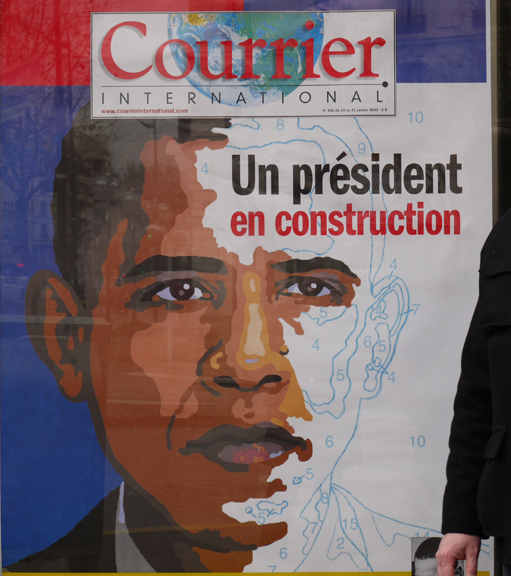 I’m not implying that Tim O’Brien copied the illustration I saw in Paris. (And even if he did, I don’t think that’s necessarily wrong.) I’m just saying that copying any creative work too closely dilutes the impact of whatever follows, based on the personal observation I describe above. So please don’t flame me or sue me. I come in peace and mean no harm.